Pleasing a teen is easier said than done, especially when it comes to finding something fun to do as a family. Teenagers are cooler than the rest of us. Their idea of fun A) doesn’t include parents, and B) doesn’t include younger siblings. What’s a mom or dad to do? Bookmark, pin, print, Facebook, tweet, or forward this link as a handy resource, of course! 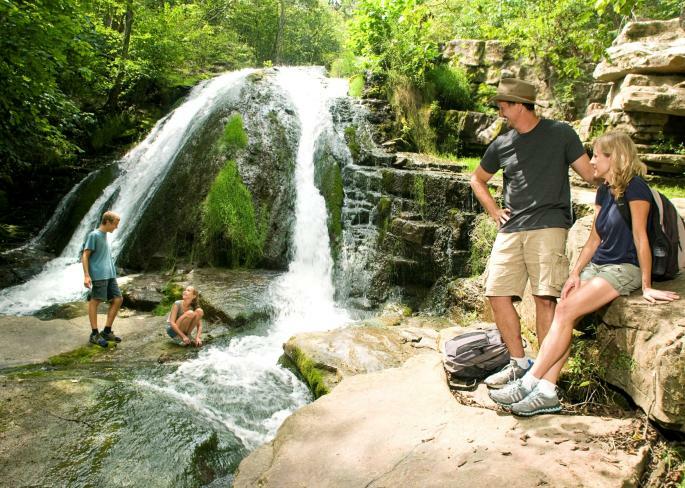 In Virginia’s Blue Ridge there are activities for every age, and teens are no exception. In fact, teens may come out better than anyone else! Check out our list of 15 fun things to do with your teenager and plan a few weekend trips to have a blast with your favorite hard-to-please person. Nothing brings a family closer than conquering a challenge and “making it out alive.” Escape rooms have risen in popularity over the past year and have proved to be great team-building experiences. There’s no team like your home team, so put on your thinking caps and get moving. There are codes to crack and rooms to beat! 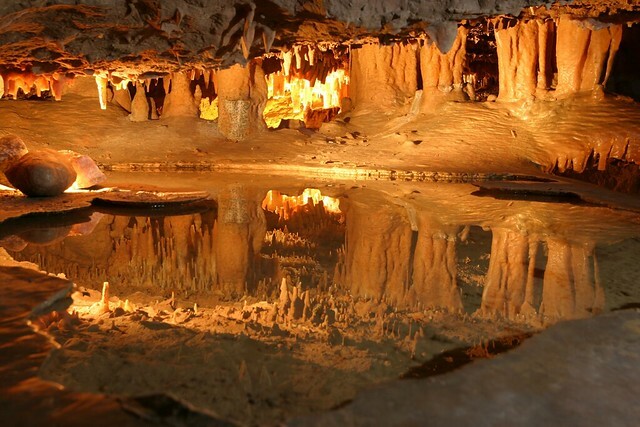 Did you know the cave that would come to be known as Dixie Caverns was discovered in 1920 by boys following their dog? The inquisitive nature of children and teenagers never changes, and Dixie Caverns is still as cool a find now as it was back then. How cool were we back in the day, rockin’ the hardwood on rollerskates? I’ll bet our kids don’t believe us, so we better show them some moves. Disc golf is fun mixed with a heaping helping of challenge, but what is it? In short, players throw a frisbee-like disc at a target while following rules on a course that essentially mimic those of golf. These courses in Virginia’s Blue Ridge are diverse in terrain and foliage, so mix it up and hit each one. “I’m too old for that,” never applies to the zoo. 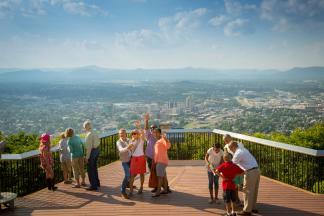 Every age loves a zoo, and you’ll especially love Mill Mountain. More than 170 animals of nearly 90 species (21 vulnerable) are comfortably at home on the mountain. Oh, and you’re never too big to ride the Zoo Choo either. See you there! When the sun is shining, putt around for 36 holes or take a few swings at the batting cage … or do both! There are concessions on-site as well as an arcade. What teen wouldn’t love this stop? The outdoorsy teen will thrive at a state park in Virginia’s Blue Ridge. Miles and miles of trails are great for hiking and biking in any season, and the lakes are summer destinations unto themselves. Make brand new family memories when you camp or book a cabin at a Virginia State Park. Without a doubt, your teen will never forget it. An easy way to spend a day with your teen is to soak up all that Center in the Square has to offer. 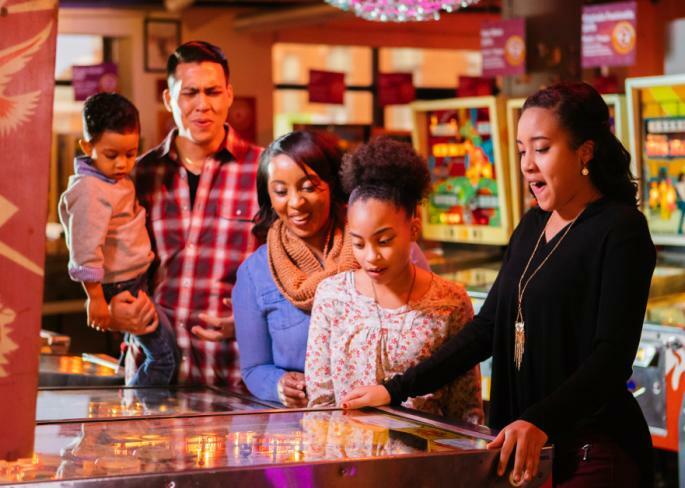 There are several museums inside, but we think your teen will be especially interested in the Roanoke Pinball Museum and the Science Museum of Western Virginia. In addition to the outdoor fun of our area Virginia State Parks, there are loads of other outdoor opportunities. Take your teen biking (UnderDog and Roanoke Mountain Adventures (RMA) have bikes for rent), or paddling (contact Twin River Outfitters and RMA for rentals and guide service), or hit the water on jet skis or a boat. Be sure to check out our Guide to Boat Rentals at Smith Mountain Lake for the best ways to conquer that last one. Adrenaline-fueled fun is easy to find this winter in Roanoke. Just head to the Berglund Center and check out a Rail Yard Dawgs game. The season runs mid-October through early April; so there’s plenty of time to plan for a match-up or two. Karting is the ultimate in family competition, and what teenager doesn’t want to believe he is a racecar driver? For that matter, what parent doesn’t want to give him or her a run for it?! Pedal to the metal! Baseball is a favorite American pastime, and the minor league Salem Red Sox knock it out of the park on the weekly. Root on our home team while the sun sets beautifully over the mountains; the views are your reward for time well spent with your teen. Test your strength, wit, and critical thinking skills when you challenge your child and yourself to a bit of rock climbing. 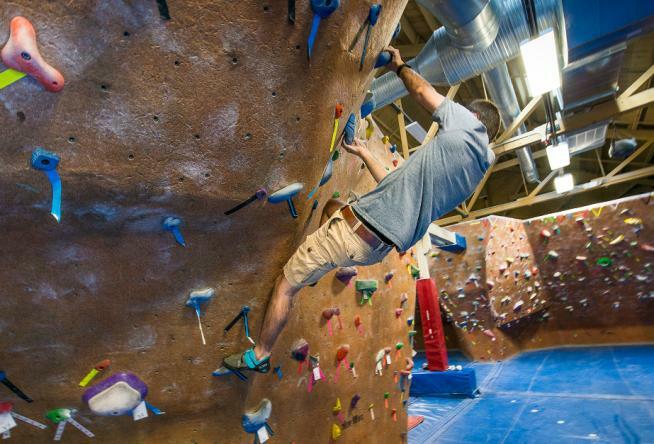 The indoor walls at River Rock offer multiple angles and approaches to get to the top; see who can do it the fastest! Summertime fun at the water park … isn’t that one of the no-brainer options all parents and teens consider when planning an outing on a hot day? Virginia’s Blue Ridge is home to Splash Valley, a low-key park the delivers hours of fun. Swim, slide, and splash around; it’s fun for every member of the family. What are you waiting for? Spending a fun day with your teen is as easy as closing your eyes and pointing to anything on this list. Enjoy! And don’t forget to capture the memories and share them socially with the hashtag #BlueRidgeDay. 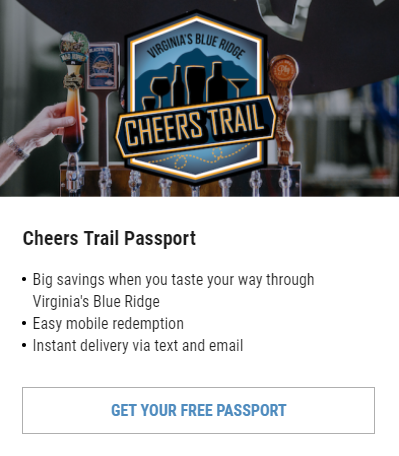 A guide to 3 days of family fun in Virginia&apos;s Blue Ridge! A collection of easy hikes for the entire family!